Burma Superstar is a popular restaurant in San Francisco with multiple locations in the Bay area. My friends took me there for dinner and we ordered the tea leaf salad, a veggie noodle dish, and coconut rice with the okra tofu. Burmese food is inspired by the various countries that it shares its borders with, that’s India, China, Laos and Thailand. 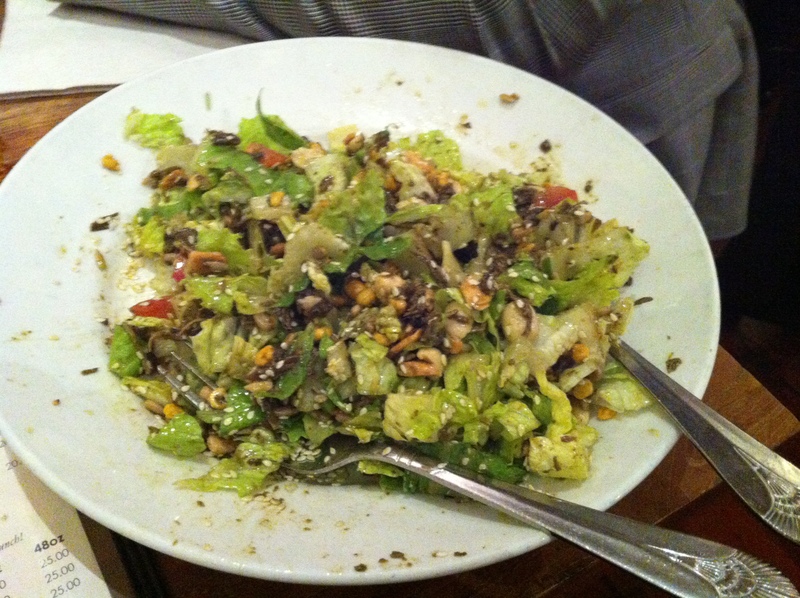 The tea leaf salad was very lightly dressed with lemon juice and oil and had tea leaves that was imported from Burma. It was quite an usual flavour and the nuts and seeds balance the astringent quality of the tea. The noodles were taught, the way that I like them, and the sauce went quite nicely and the broccoli. The curry was delicious and okra is one of my favourite asian vegetables. The coconut rice was a bit sweet and went nicely with the spiciness of the curry. 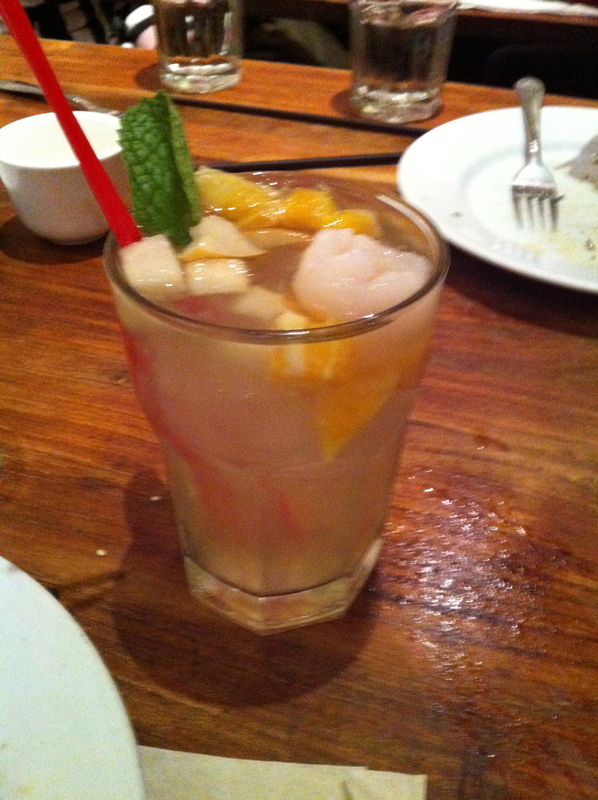 Their cocktail menu was impressive and I tried the white sangria that came with a lychee as a garnish. It was a refreshing and light drink which is what I wanted. Burma Superstar does not take reservations so arrive early. Visit their website for more information on their menu, locations and hours. www.burmasuperstar.com. 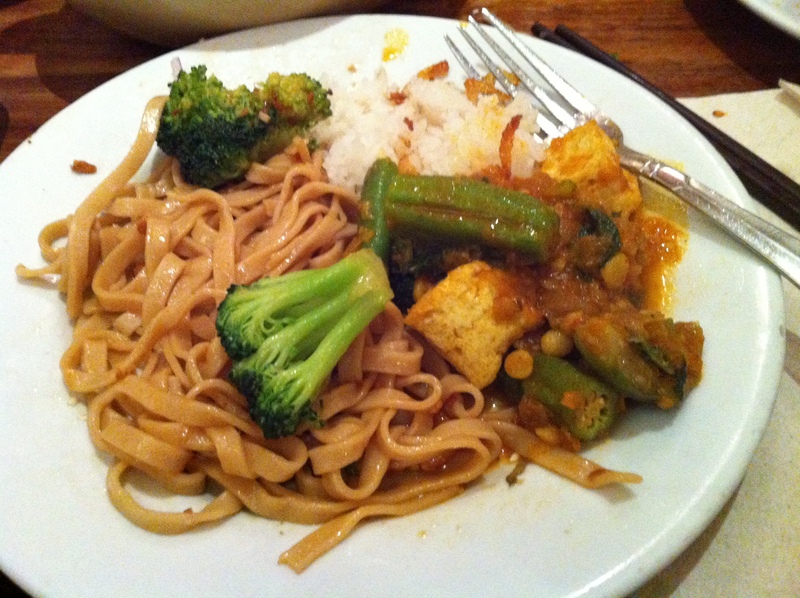 You are currently reading Burma Superstar Restaurant San Francisco at Coriander Kitchen.